Apple debuted the long-awaited Apple Watch today, and as promised, it gives marketers a completely different way to think about mobile creative. A number of brands and tech names have already developed Apple Watch apps, which will go live once the smartwatch is available for pre-order on April 10 and in retail stores on April 24. Here are seven brands that already have use cases for the wearable. Starwood Hotels: The tech-savvy hotel chain is working with software company WatchKit on its upcoming smartwatch app. The Stamford, Conn.-based hospitality brand already has a smartphone app that unlocks hotel room doors, and its smartwatch app plans to do the same. It's a simple concept, yet it entails big implications in cutting the cost that hotels pour into producing physical room cards. 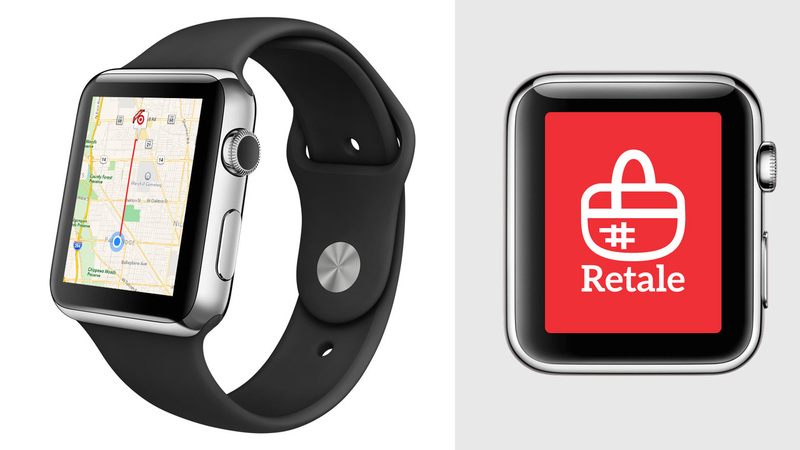 Retale: The location-based couponing app turns print circular ads into digital promos from 130 merchants and will be one of the first retail names to launch a dedicated feature for Apple Watch. The wrist app will sync with Retale's existing iPhone and iPad apps, so people can save information—like lists of local stores—on multiple devices. Retale is tight-lipped about what the actual app will look like, but it will take advantage of a store-finder feature to help people locate nearby offers. A mockup of the app shows a map that plots the distance from a user to a nearby Target store, for example. Marsh Supermarkets: Earlier this year, Marsh Supermarkets started loading up its 75 stores with beacons in anticipation of Apple's smartwatch announcement. Until now, beacons have primarily been used to trigger push notifications on smartphones. Marsh claims to be the first to use the tech to build out a smartwatch app with beacon vendor inMarket. "If you look at that situation when you're running through a store, how much more convenient is it to have a hands-free option to see what you're making for dinner or understand what the deals are when you're in-store?" Todd Dipaola, CEO of inMarket told Adweek in January. Shazam: The music-discovery app has its sights on devices beyond smartphones, as CMO Patricia Parra said last week. Like inMarket's Dipaola, Shazam's Parra also plans to eventually make the content that smartwatches stream handless. "We are going to get to a world where you don't even have to [touch an app]," she said. "We are going to be wearing stuff that tells us things like when our blood pressure rises." Social apps: Instagram, Facebook, Pinterest, Twitter and WeChat all plan to launch Apple Watch apps, which will likely make it one step easier to take and share social photos. These sites are already overloaded with user-generated photos, and with wrist-enabled cameras, one can only expect for the amount of photos to grow. Panera Bread: In September, the bakery chain rolled out Apple Pay, which includes an option to pay through Apple Watch. Similar to other brands' apps, the payment technology plugs into Panera's mobile app and lets people hold the watch over a reader at the point of sale. Apple Watch is still new, but Panera has already reported initial success with Apple Pay on smartphones. Apple shared a similar use case with Whole Foods at today's event. CNN: The news site's upcoming app will pull in stories from 12 categories like breaking news, health and entertainment. The app will also livestream CNN TV coverage and let people tap to read and save stories. "The CNN app on Apple Watch is our most personal product to date, and a true game-changer," said CNN chief product officer Alex Wellen in a statement.